This store is located on Delaware Avenue in downtown Put-in-Bay. Moreover, the store is within the Harbor Village complex. Here, guests can find a fine selection of shops. Also, there is a tasty restaurant here, the Blu Luna Ristorante. Also, the Jet Express terminal is merely steps away. Lastly, the Village Bakery with their fresh baked delights is just across the street. There are many things for purchase that change color in the sun. Popular options include t-shirts, sweatshirts, bags and jewelry. Also, they carry a popular nail polish that changes with sun exposure. 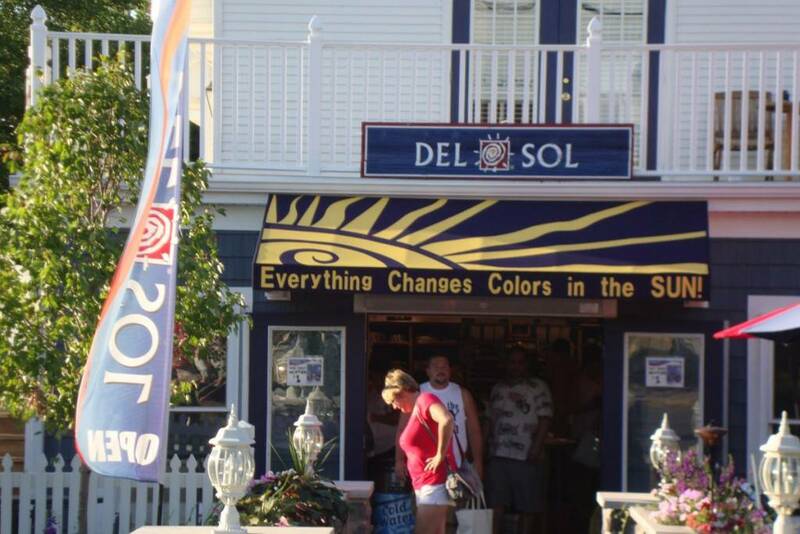 Additionally, Del Sol routinely runs promotions for a free bag. This bag is earned after making a certain amount of purchase at the store. Most importantly, this bag is unique to this location and could result in being a collectors item in the future. The great items don’t stop there. Also, there are sunglasses, hats, visors and more. Of course, all of these great items change color in the sun! Planning a trip to Put-in-Bay? Look no further. This website is an invaluable tool for researching, planning and booking your very own place. Although a day trip is a great introduction to PIB, staying overnight opens up new perspectives. Also, guests will be able to get a taste of the night life. This night life is the life blood of the island, drawing in visitors every season. See for yourself what all the hype is about. Also, mid weeks bring a much quieter time. Families can enjoy the natural beauty of the island, while taking part in many great activities. Set sail for the island. You’ll be glad you did!